For the filling, combine all the ingredients, except the tomatoes and the oil. Turn the pastry onto a floured surface and roll into a large round of about 40cm. Transfer onto a lined baking sheet. Spread the ricotta filling over the base, leaving a 4cm boarder. Place the tomatoes into a bowl, drizzle with 1 tablespoon olive oil and season with salt and pepper. Pile the tomatoes onto the ricotta filling. Allow to cool for 15 minutes before cutting. 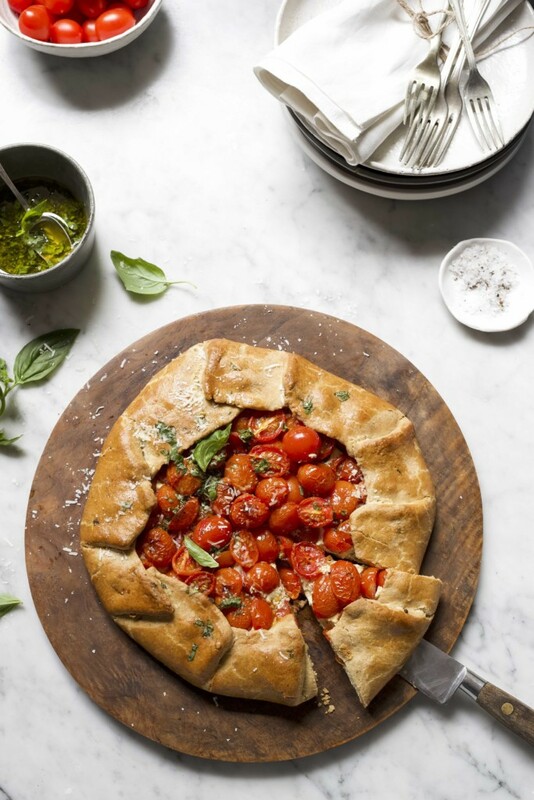 Drizzle the galette with basil oil and scatter over a handful of parmesan cheese just before serving.